Photo: Mary Frances Isom Cottage, ca. 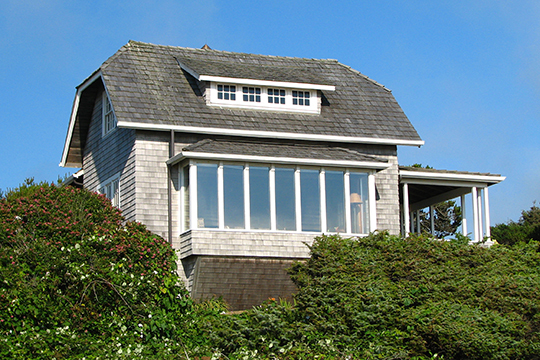 1912, 7465 Beulah Reed Road, Manzanita, OR. Listed on the National Register of Historic Places in 1991. Photographed by user:Werewombat (own work), 2009, [cc-by-3.0 (creativecommons.org/licenses/by/3.0)], via Wikimedia Commons, accessed January, 2014. The Tillamook County Courthouse is located at 201 Laurel Avenue, Tillamook, OR 97141; phone: 503-842-2034. Tillamook County was created in 1853 from parts of Clatsop, Polk and Yamhill counties.